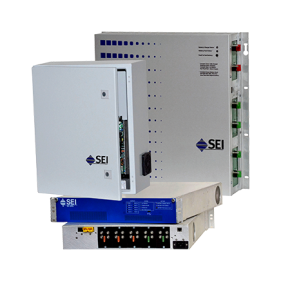 Founded in 1977, SEI manufactures DC (direct current output) critical power systems and customer-premises power equipment (CPE) for industrial users, wireless, telephone service providers, and the military. 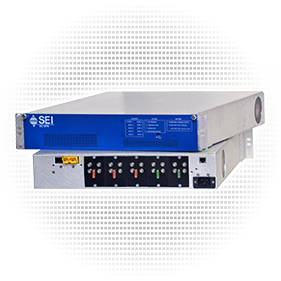 SEI has shipped over 30,000 DC critical power systems to customers around the world. 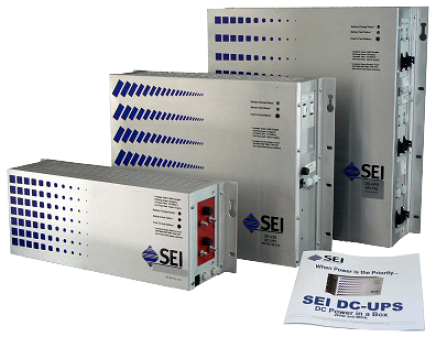 SEI products are proudly made in the USA. 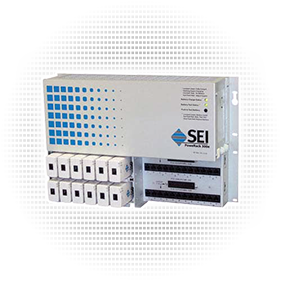 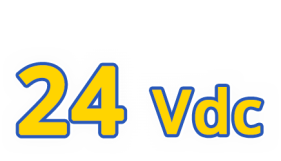 A DC-UPS is an uninterruptible power system that takes in primary power (usually utility AC) and outputs DC voltage while providing backup power from the integrated batteries in the event the incoming (utility AC) power is lost. 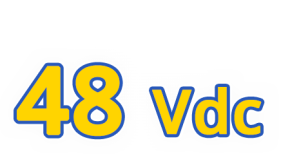 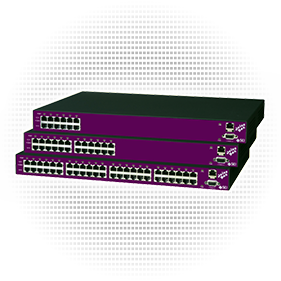 SEI’s Power over Ethernet Midspans inject 48 Vdc power on to Ethernet cabling to power end-point devices such as IP phones, Wireless Access Points, cameras and other IP applications.